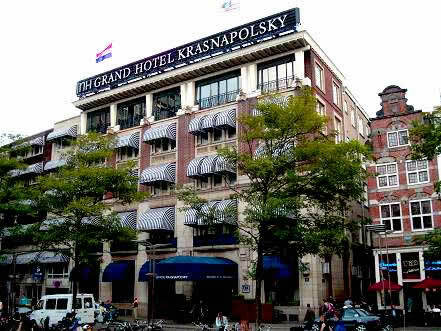 The RIPE 46 Meeting was held from 1 - 5 September 2003 at the Grand Hotel Krasnapolsky, Amsterdam, the Netherlands. There were a total of 307 attendees comprised of the RIPE NCC membership, the RIPE community and government representatives. Attendees also included representatives from APNIC, ARIN, AfriNIC, LACNIC and ICANN. Highlights of RIPE 46 included the open discussion on the services of the RIPE NCC during the first session of the RIPE NCC Services Working Group; a presentation on current RIPE NCC services and plans for 2004 by Axel Pawlik, Managing Director, RIPE NCC; an AfriNIC update; and an update on the changes to Test Traffic Measurement. The European Operators Forum (EOF) featured a full-day tutorial on Voice over Internet Protocol (VoIP) and ENUM that included an overview of current technologies and a focus on practical deployment aspects such as gateways, security, provisioning and use of the new ENUM standards. Geoff Huston, Telstra, gave a presentation on IPv4 Address Lifetime Expectancy.